If you’re looking for the best pest control services in Malaysia, Kamal & Kamal Pest Control Sdn. Bhd. is the company to call. Since our establishment in 1985, we have been providing safe and effective pest control to various customers in Malaysia. We provide pest control solutions for residential, commercial, industrial and governmental properties in Malaysia. Wherever there are pests, we’ll be there to fix this problem for you. Our experienced and skilful team helps you to get rid of cockroaches, termites, bats, snakes, birds, lizards, ants, bees, fleas, ticks, mosquitoes and so many more. Up to date, Kamal & Kamal Pest Control Sdn. Bhd. has more than 100 staff with state-of-the-art equipment and the most advanced techniques to cater for a wide range of customers from domestic households to commercial sectors. Among the pest control services that we offer in Malaysia are flushing, rodenticide, residual spraying, termite baiting, HAS* technology, fogging, larvaciding etc. Our pest control service centres are spread out across different locations in Malaysia so as to better serve our customers. 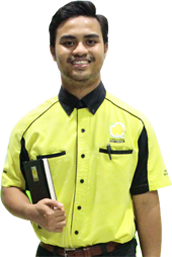 As a company that offers one of the best pest control services in Malaysia, Kamal & Kamal Pest Control Sdn. Bhd. is certified with ISO 9001: 2008 by SIRIM & UKAS, providing quality assurance to our customers. 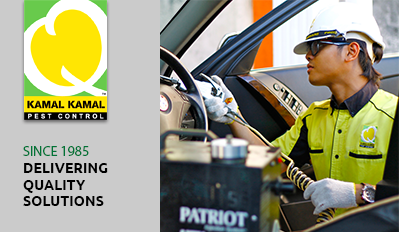 With a mission to be the nation’s best pest control service company and to offer our services to other ASEAN countries, we are always striving to improve our services. We would like to take part in contributing to the cause of improving our planet’s environment and to improve health conditions by eliminating many disease-carrying pests. Kamal & Kamal will accomplish this goal by delivering the finest quality services and value to our customers while being environmentally responsible. Led by Tuan Haji Hussein Kamal, who is also the founder President for “Pest Control Association of Malaysia (PCAM)” in 1995 and “Bumiputra Integrated Pest Management of Malaysia (BIPM)” in 2004, Kamal & Kamal will continuously work hard to achieve maximum customer satisfaction in support of a safe, healthy & green environment. 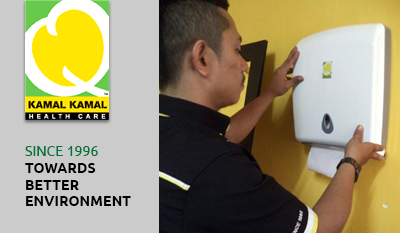 Kamal & Kamal Health Care Sdn Bhd is the solutions to most of the hygienic problems from corporate office to the residential area. Pests don’t stand a chance! 1. A 2nd Generation Malaysian Family Owned Company. 2. An ISO 9001:2008 certified company by SIRIM & UKAS (REG NO:AR 4085). 3. Specialized in Pest Management Since 1985. 4. Expert in Termites Colony Eliminations-Treated Zone with Domino Effect. 5. Solutions - Residential, Commercial, Industrial & Government. 6. Service Coverage - Malaysia. 7. Licensed & Well Trained Technicians. +1. We support Safety, Health & Green Environment. -1. In collaborations with International Strategic Business Partners.